Abaco Restaurant for Tenerife Vegetarian Tapas with a toddler. The Abaco Restaurant of Tenerife was news for us in November 2017. However, we were familiar with its breath taking Casa Grande with museum and its concerts. Abaco Restaurant with its spectacular cocktails in its garden. To be able to spend a short while there over delicious cocktails or a long drink in its paradise garden were some more reasons why my son in law liked the Abaco's location. Therefor, he booked a marvelous Tenerife holiday home Vila with pool five minutes on foot from it. Now figure how delighted he and his wife were, as they are Vegan, when he could order some simple Vegetarian food at the upmarket Abaco. What Vegetarian Tapas did Abaco Restaurant have? Wrinkled Papas arrugadas Potatoes the real Bonitas that were yellow inside. They had been steamed with little exterior seasalt. 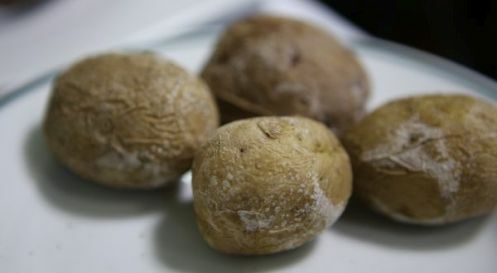 We had delicious Papas arrugadas that were the real wrinkled Bonitas that are yellow inside. They came with the usual Salsas. Those are the red spicy Chili and the green Coriander sauces. Pimientos Padron Bell Peppers made to perfection. 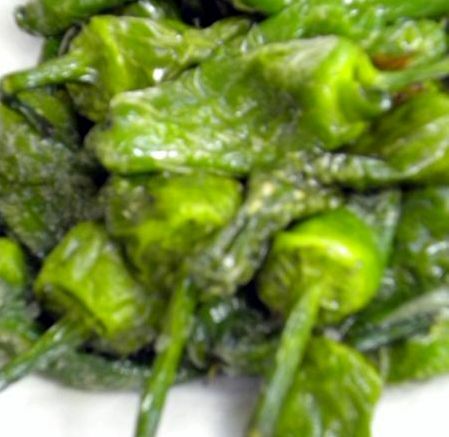 The Pimientos Padron Bell Peppers were only slightly salted, which is the way they should be. Good as always and highly fascinating for the toddler because of the colors and unusual glasses. 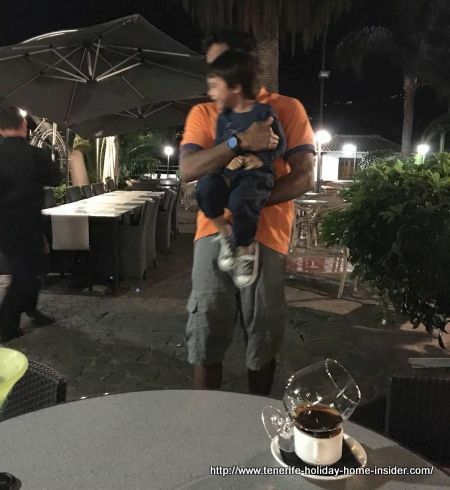 Our two year old toddler having fun at Abaco in its Restaurant Patio. It helped very much that I the grand mother could come along to give the parents a bit of a break. And this was great fun. Imagine the little frog or toad animal sculptures that sit by Abaco bushes. Little children love to look at them. They repeat their names and the sounds they make. They also love to see exotic flowers. There are quite a few by the Abaco Restaurant garden pathways where every corner brings new surprises. The Radetzky March by Richard Strauss seemed to follow us. 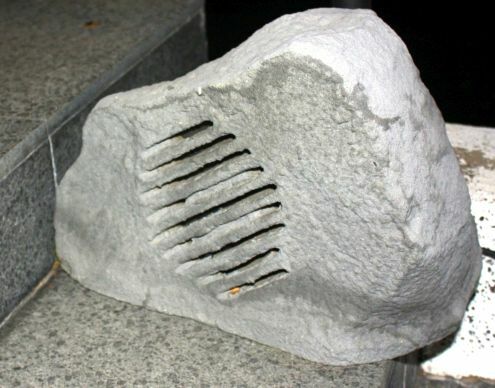 It came from a most original loudspeaker that was made of stone. Always take the child by the hand there despite good illumination and a rudimentary fenced in pool. It's the stone steps you have to mind. 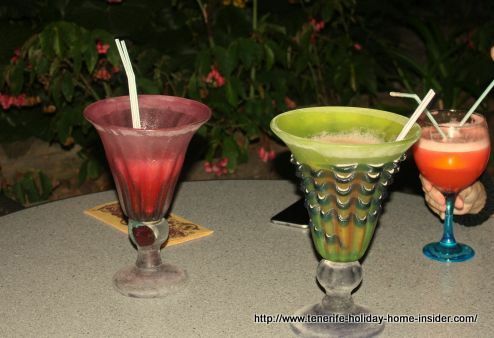 Other reasons to take an offspring to the Abaco Restaurant in its garden. Crumbs are picked later from the floor by birds, as the waiter told us. Abaco flowers and more surprises in the interior Patio courtyard the outside garden restaurant. So many things are fascinating for a toddler, such as a wooden cart wheel by the old barn and a horse coach painting in the salon. The Casa Grande of Restaurant Abaco. The main building is also good to explore for a toddler together with an adult. Angel figurines, sacred art, big grandfather clocks and paintings draw much attention at a very young age. I thought i took photos of the child size musician and singer figurines but can't find them. They stand in the big salon near the bar and are not to be overlooked. Unfortunately, the kitchen of the museum section of the Abaco seems to be off limits, now. 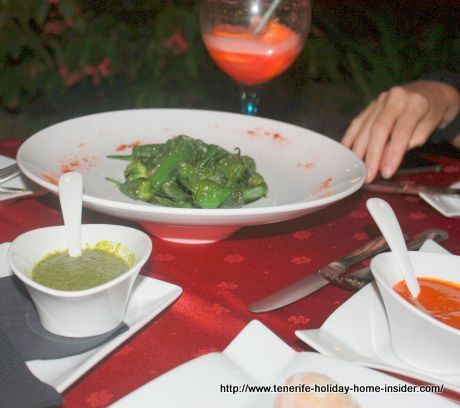 Conclusion to eating out at the Tenerife Abaco. Nevertheless, we all loved our outing. However, we could only see the empty podium of a mysterious looking music room. The latter comes alive with cozy lights on entertainment evenings. That's on Thursdays for a Flamenco show and for classical music and Opera Arias on other nights. Sorry, no idea what we spent for food and drinks. Cocktails are not cheap. But does it matter much? Going out to special places is priceless. Also, I would not ask questions when I'm invited. By the way, I noticed that the free parking grounds by the XVIII mansion's view side toward La Paz which is part of Puerto Cruz seem to have been enlarged. 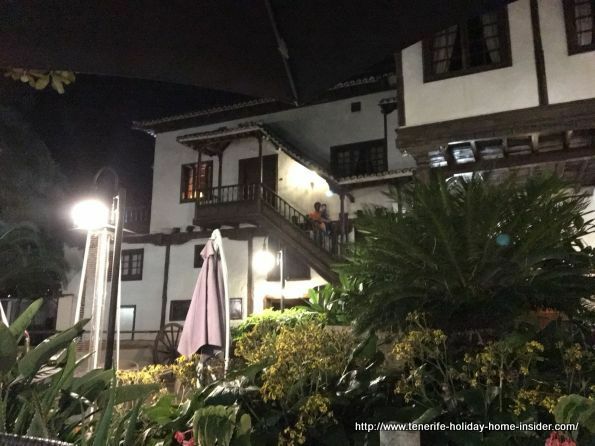 From Abaco Restaurant back to Tenerife holiday review with many more related links. 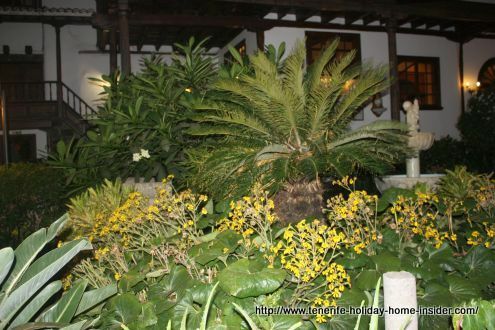 The website of this Tenerife Puerto de la Cruz mansion for eating out with Casa Museo House Museum and concerts. Please mind that the comment box below is meant to help others. In case you have a question or want to tell me something, kindly use this contact form. Have your say about what you just read! Leave me a new comment in the box below. Text and images within this site are not to be copied or traded at any time. This regards online and offline.